For the first Poster Monday spot of August we have the poster “Macbeth” coming from Poland and designed by Vadym Solowski. Vadym in his own words says: “If I had to describe my path and the turning point in one sentence, it would sound like this: I am a Nuclear Power Engineer, which became an Artist / Illustrator / Creator after an epileptic accident in Iran. Somehow, I have understood that creativity is the cheapest and the most powerful weapon / magic wand / instrument (ok, “hope” is free, but anyway) that I’ve ever known. And creativity can change this world locally and globally in some way”. “Macbeth” is also known as “The Tragedy of Macbeth” is a famous play, which was written by William Shakespeare. 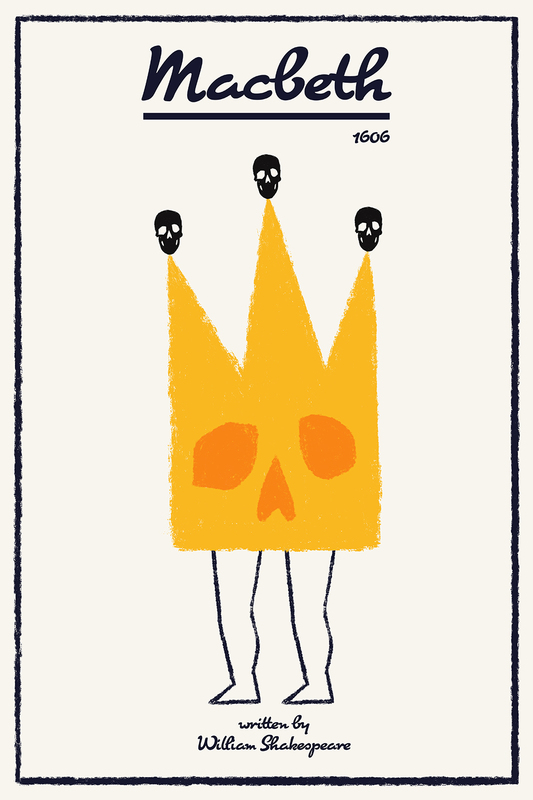 On the poster, we see the king as a big crown with a symbolic face of the skull in the middle of it. It symbolizes what Macbeth became and how his path ended. On the tops of the crown, there are three small black skulls. They symbolize two fundamental things in this story: on the one hand — three predictions from three witch sisters. And, in fact, show death and murders on the way to the power of Macbeth himself. It dramatizes the damaging physical and psychological effects of political ambition on those who seek power for its own sake. If you would like to find out more about Vadym Solowski work visit his personal instagram account and behance.